Kiasmos appeared on the scene back in 2009, on an Erased Tapes split EP with Rival Consoles. A few years later, and this somewhat elusive duo were still teasing us with only a few tracks here and there, testing our patience for all things to come. At last, the self-titled full-length is here, released on October 27th, featuring eight full pieces, showcasing unique blend of progressive minimal techno with modern classical composition. Oh, and if you recognize the faces in the above photo, it’s because Kiasmos is Janus Rasmussen and Ólafur Arnalds! Can you tell us how you got involved in composing together (and individually), and what was your very first piece of gear? Ólafur: We met in 2009 when I was working as a sound engineer and I toured with Janus’ band Bloodgroup as their engineer. We discovered a common love for techno and soon started experimenting together. Ólafur: We work in two different studios actually, but they are in the same building. 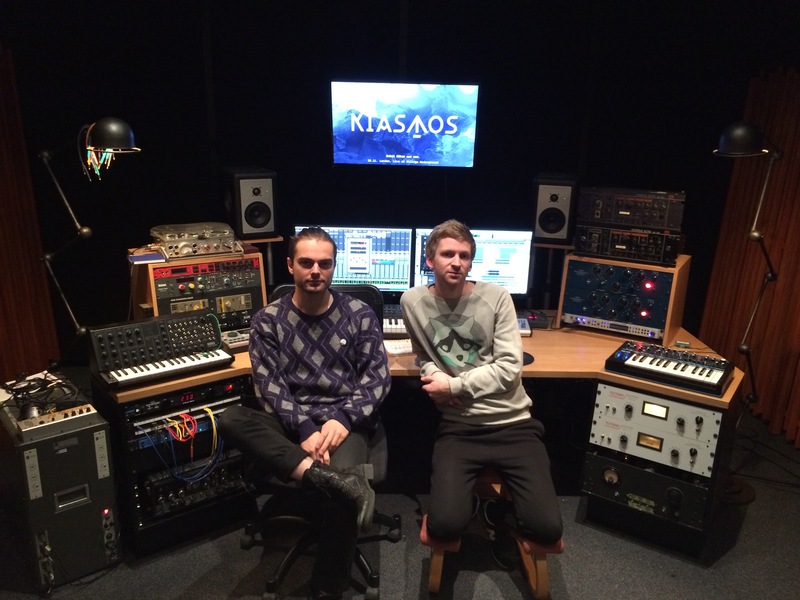 We produced the Kiasmos album in my room which is a rather large Pro Tools based control room with all the instruments in the same room – grand piano and a bunch of synths. 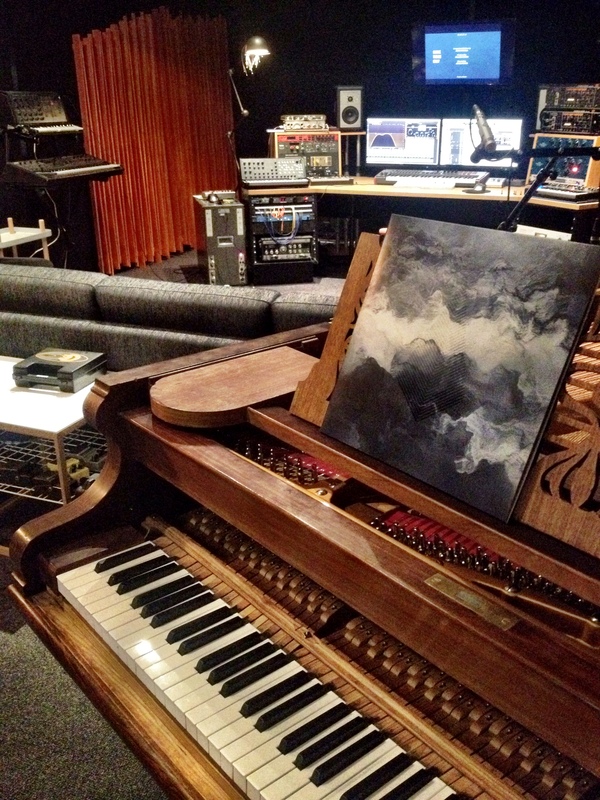 The room is kind of built with film scoring in mind so music can be produced from start to finish with some ease. 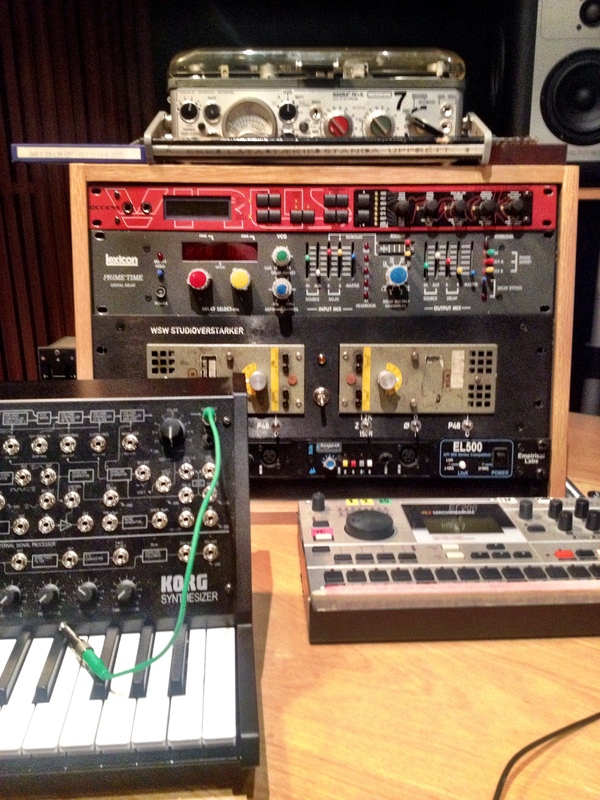 Janus: My studio is mostly based around a lot of analog synths and drum machines. I record a lot of vocals, so the lovely U47 clone made by my friend is always in use. Janus: Think it is the RE-201 Space Echo. We use it on everything. 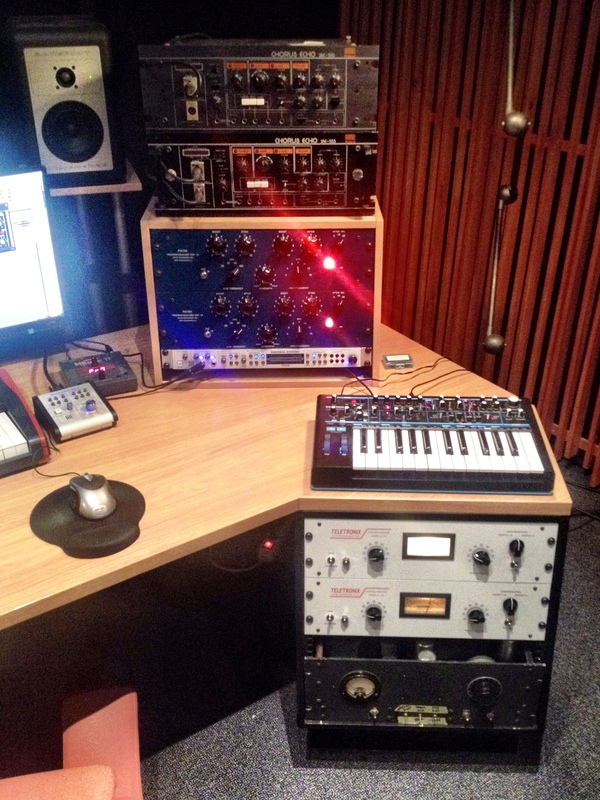 It’s very heavily used on the Kiasmos album, I think we tried sending almost every track trough it at some point. The grittiness and randomness of the tape is almost always a welcome addition to a stale sound. I don’t even use it for echo most times. Send your pads to the tape without any repeat two times, pan them out and listen to that weird wobbly massive pad sound. Ólafur: Yeah I’ve used it so much for stereo effect that I got tired of always having to run everything through it twice… So now I’ve added two RE-555 and just keep them ready on a stereo send for whenever I need that! Janus: Started using Ableton in 2006. It’s not perfect, but I feel like it’s more like an instrument than a DAW that’s trying to do everything. Most work with Kiasmos was recorded and produced in Pro Tools, which is a lovely program, it’s perfect for mixing and editing. Ólafur: My thinking is very engineer orientated, even when composing or arranging. So Pro-Tools has always been my DAW of choice. Ólafur: I spend half of my free-time exploring eBay for rare vintage finds. But my interests change from month to month. Right now i’m really into tape delays and actually I’m trying to find this Philips EL6911 tape echo. Janus: Really want new studio monitors, Focal SM9 look very exciting. 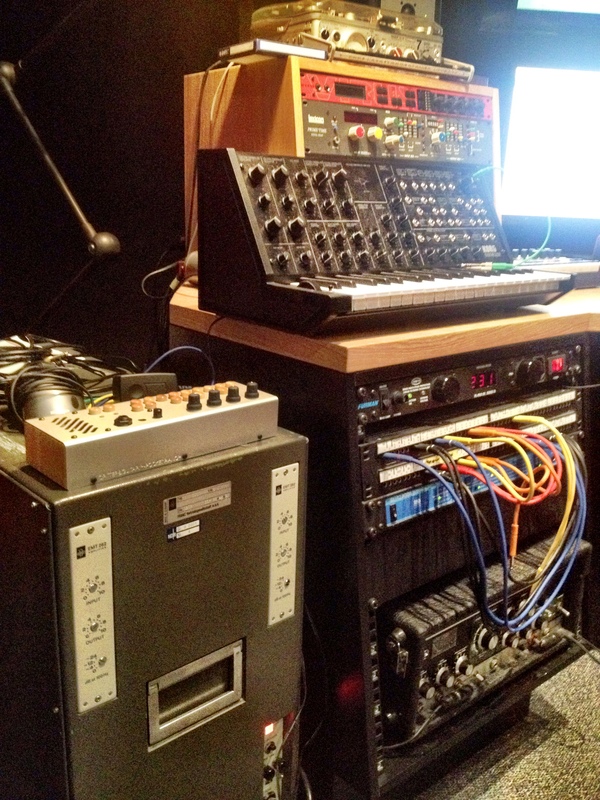 Ólafur: We did a lot of re-amping via tape and other analog gear. As most of the beats were programmed in the DAW we felt like we needed to give them some life. Ólafur: Our live setup actually evolves largely around the visual aspect – live projections and light programming. But we use Ableton Live to run the music. Supported by a few midi controllers, MS-10, MiniBrute and KaossPads. Ólafur: I’ve been thinking a lot about adding a recording room to my studio but I keep backing out from that idea. I realised I really love having everything in the same room, even if it means that often you have to work with headphones on rather than the speakers. It just gives you a much more creative workflow. Janus: Would love to work a little more on the acoustics of the room. I need to build some bass traps whenever I have the time. It’s very important to have a really clean sub range when making electronic music. Ólafur: Ideas are usually born through improvisation. But they evolve through organisation and logistics. This to me is a very interesting side of composing – the fact that it’s not all some kind of creative spark. A lot of it is simple logistics and technical knowledge. Janus: I like to try out new things whenever I can, don’t like making the same thing over and over. So I’ll start any where from making a beat, playing the guitar or just making some obscure sound out of a sample with a thousand plugins just to spark an idea. It usually gets me somewhere. How do you collaborate on the same piece of music together? Ólafur: We usually create some kind of a base together, often a beat. And then we just each head onto an instrument of choice and jam over that base idea until we find some elements that we want to work with. Then we take that into the organisation part of the process. Ólafur: It’s great to take it into a space where you are used to listening to other people’s music, such as your car. In the studio I mostly listen to my own music so the perspective can be a bit strange. Janus: Love to listen to mixes in a car with good speakers. It’s a good idea to take a break from the song, most times when you hear it again after a day or two you’ll know if it’s working or not. Do you ever procrastinate? If so, what do you usually find yourself doing during those times? Do you have to nudge each other to keep moving forward? Ólafur: I believe that when I procrastinate I do it for a reason. It often comes from a need for a break or some inspiration. Then I listen to other music or read articles until my head is calm enough for me to get creative again. Janus: Meditation works for me. Or just taking some time off to do something completely different. Go meet some friends and do some random stuff. Having a good routine is definitely the best way get things done, but sometimes you have to ditch it to get inspired again. Ólafur: Anything really. Books, videos, music… But mostly you just need to feel calm and have a head clear enough to create. Ólafur: There are a lot of interesting things happening. Both in the underground and mainstream. It’s easy to dispose mainstream music as crap but people often fail to realize that behind those songs are some of the world’s greatest songwriters and those songs reach millions of people. There must be something good going on even though it doesn’t always suit to my personal taste. Janus: I’m really diggin’ the electronic scene right now. Everything is so open, all genres are blending into each other and becoming something new. I feel like I can’t keep up with all the exciting music that is coming out these days, it’s a luxury problem though.